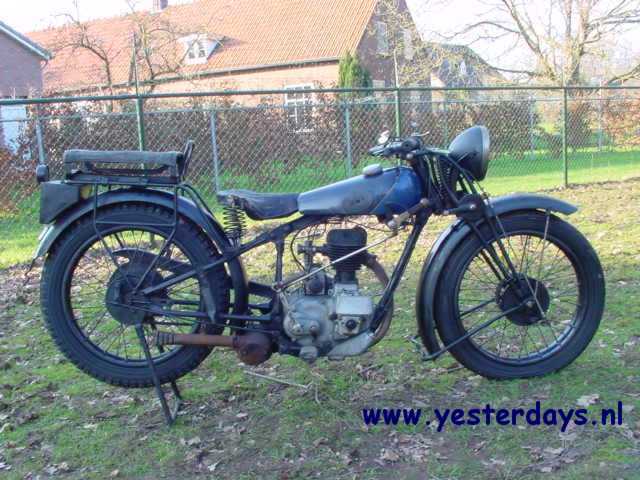 In the middle of the twenties Peugeot marketed its first four stroke unit construction engine, a 350 cc model. 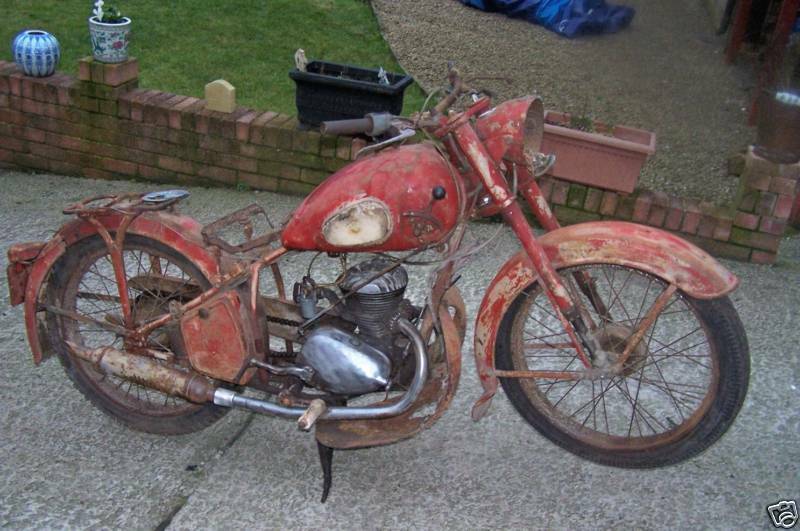 A strong selling point for many prospective customers; no messy exposed primary drive to a separate gearbox but engine and gears in one neat, clean housing. 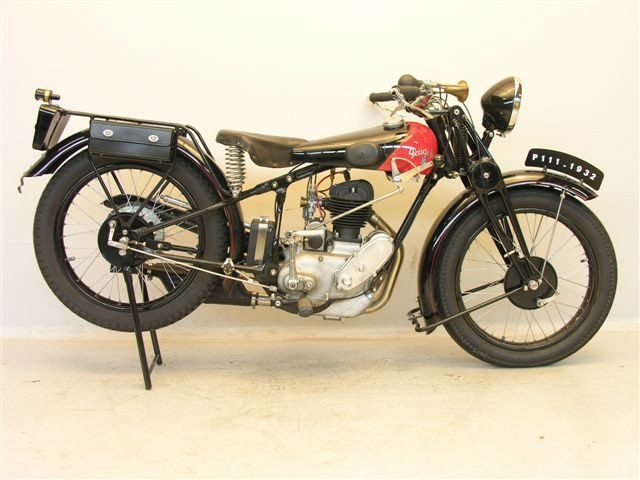 In a few years time this concept became very popular, and around 1930 there was a choice between 174 cc ( P 109), 215 cc ( 110), 248 cc ( P108) 327 cc (P111) and 346 cc ( P105 andP 107) models. The logic of the system is not very transparent, is it? 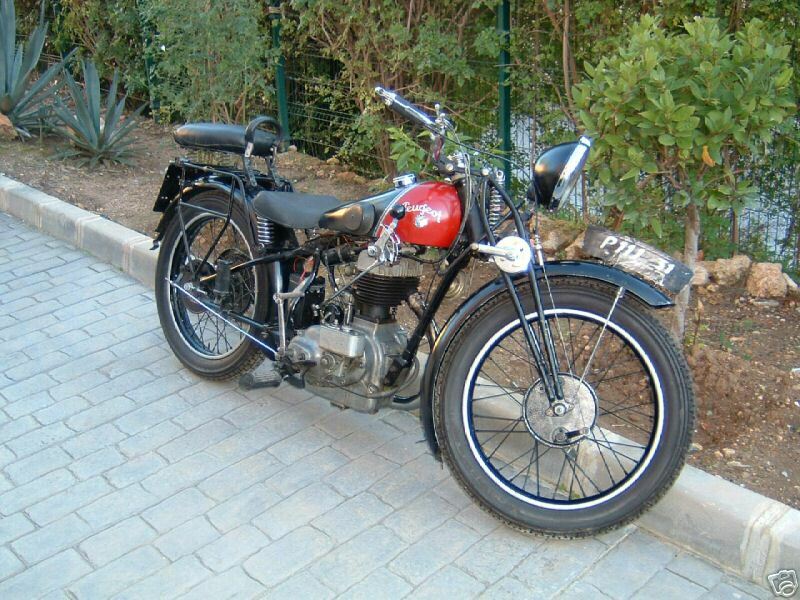 All machines had side valves, apart from the most sporty model, the OHV P 105. 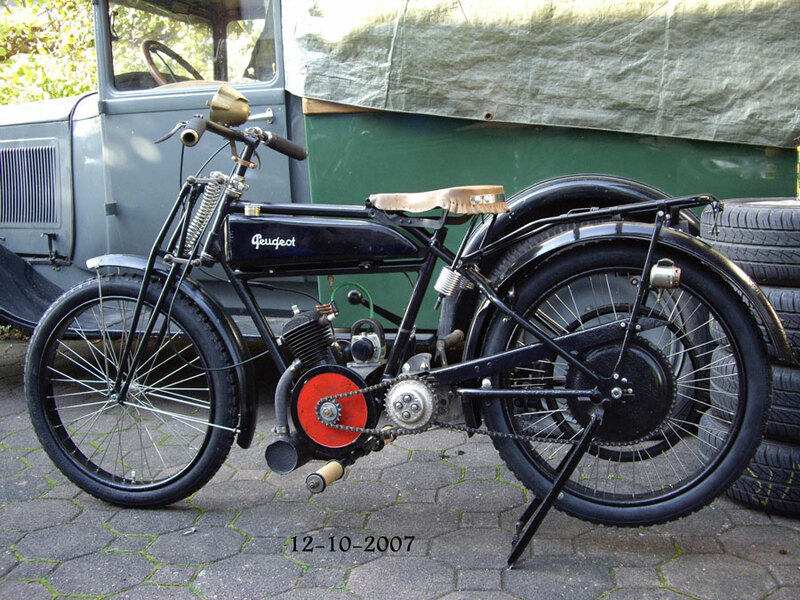 Peugeot was able to expand its market share considerably : in 1927 9947 machines were produced and by 1930 this had grown to 18,602 units, a progression of 85% in just four years. 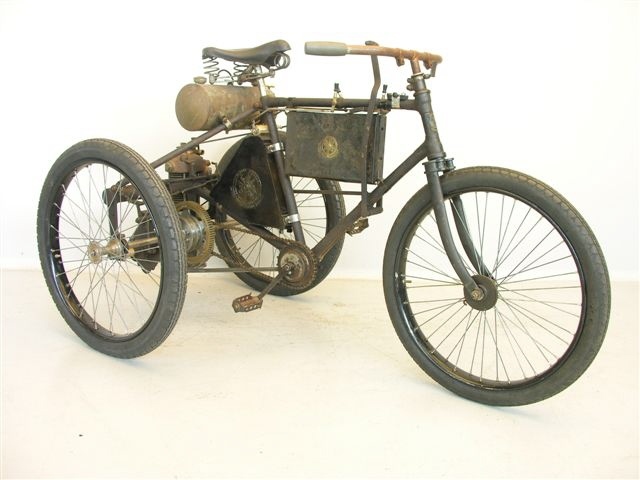 1900 Peugeot Tricycle, 239cc This unrestored example has a DDB engine and is equipped with a two speed gear. 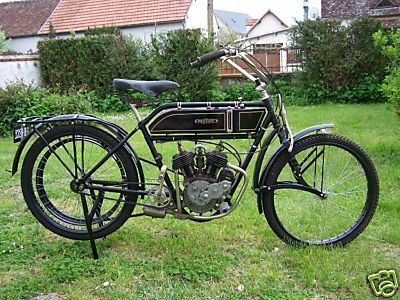 1913 Peugeot Paris Nice 350cc, V-twin. 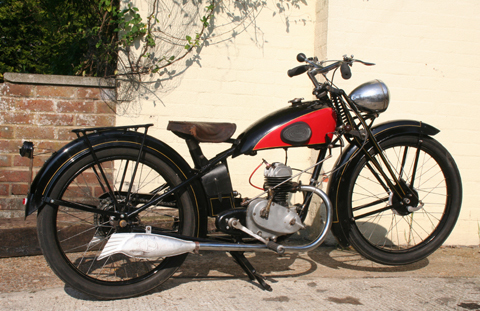 1932 Peugeot P111, 327cc The P111 was introduced in the autumn of 1930 and it stayed in the catalogue for three years. 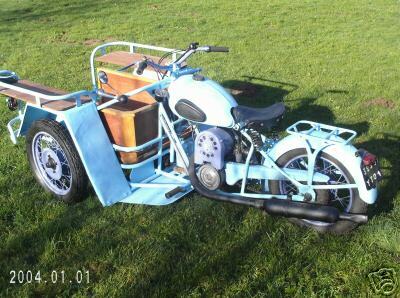 This light and agile machine is equipped with full electric lighting and pressed steel front forks. 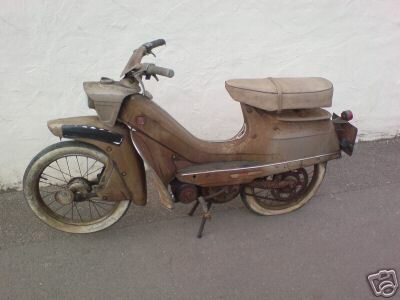 It has been finely restored. 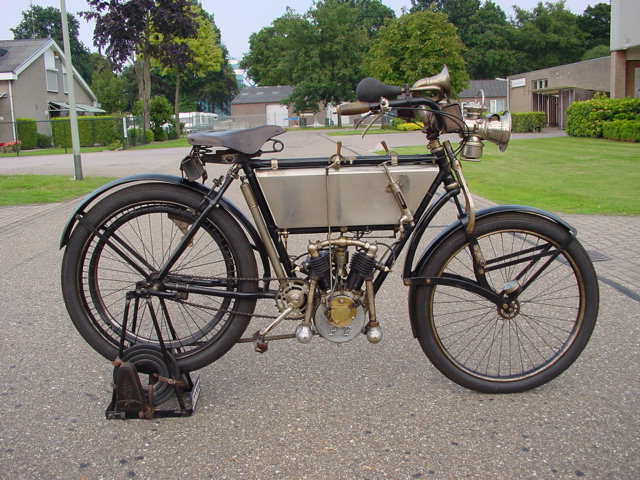 In Britain, the equivalent was the 'autocycle' (usually 98cc Villiers powered), while in Germany similar lightweights used 98cc Fichtel & Sachs engines. 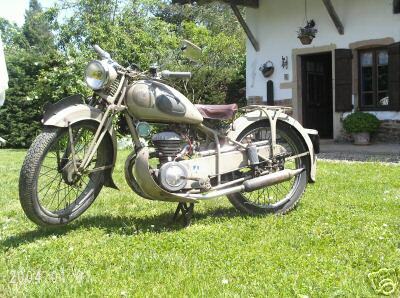 Interestingly, the later 1930's Peugeot BMA's had 'pretend' pedals: the P53 had a kickstart, but also fixed footrests that looked like pedals so riders could try to get away with the licensing concessions. 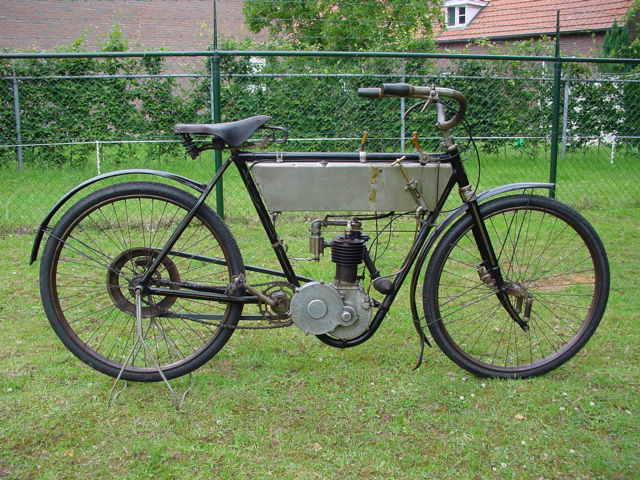 100cc with 3-speed hand-change gearbox. 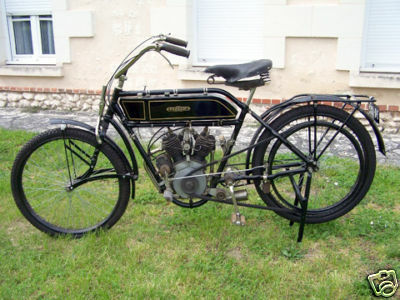 In order to encourage people to buy motorcycles in the thirties, the French government allowed pedal-assisted motorcycles under 50cc to be exempt from registration and the need for a driving license. 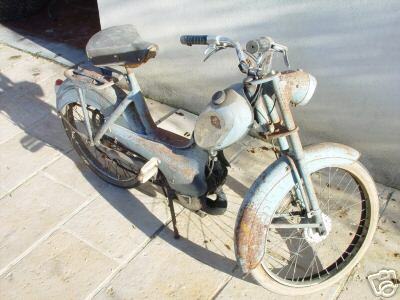 Peugeot made this 100cc model with fixed foot-pegs that look like pedals so that people could break the law and ride it without a license or reg! 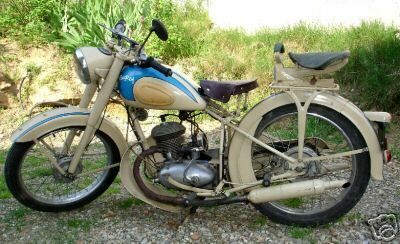 The 1950s Peugeot 125cc could be considered the equivalent of the British BSA Bantam: they are still fairly common, being popular, reliable and practical machines that were market leaders in their day. 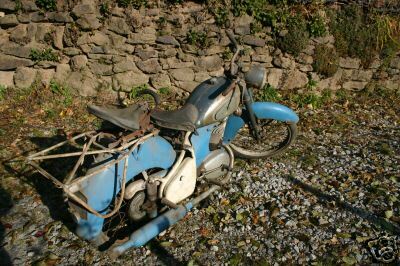 However, like the first D1 Bantams, the first models of postwar Peugeot P55 are now scarce and highly valued. 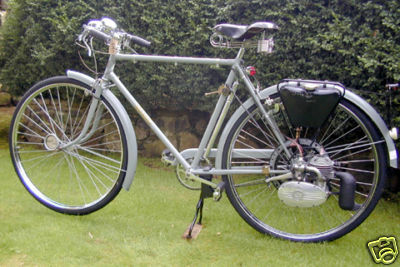 This early VAP engine was one of the first 'moteur auxiliare' models in production in postwar France, and was one of the most popular. Note that, unlike the VAP4, the VAP3 is not chain driven, and it has a magneto not a flywheel. 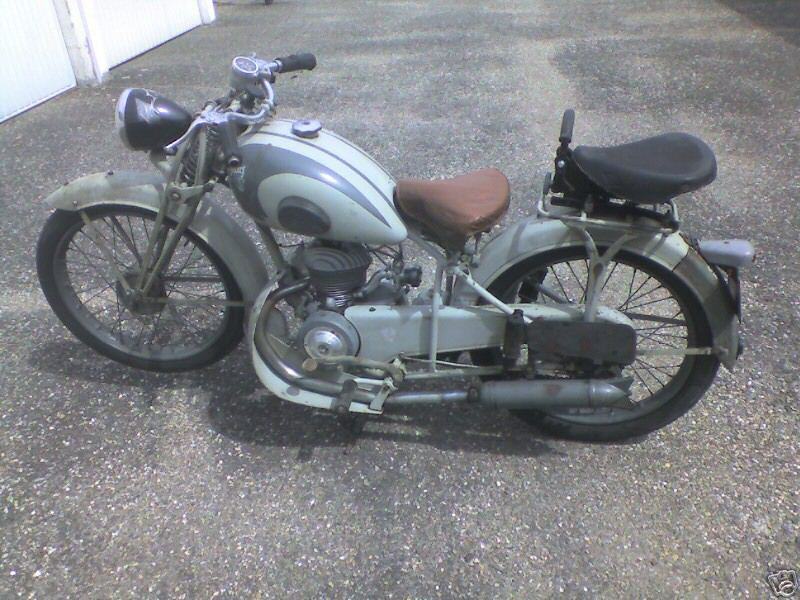 Although there is no clutch on this model, there is a lever to pull the engine up, and this works as well as a clutch. 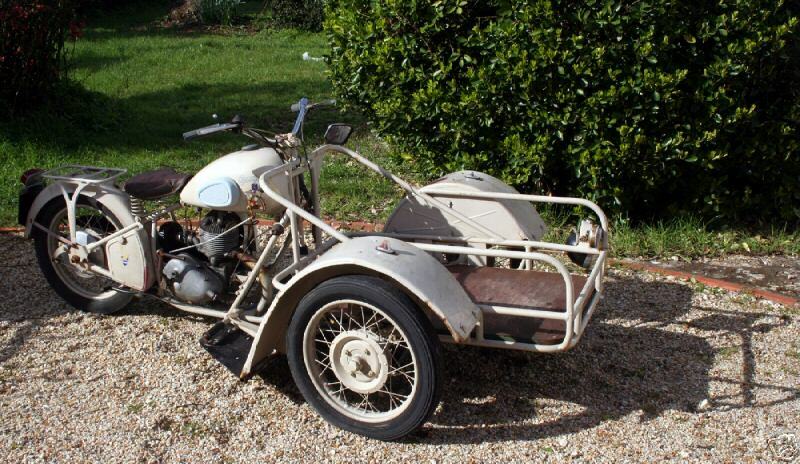 1953 Peugeot TN55 Triporteur 1953 Commercial Delivery Trike. 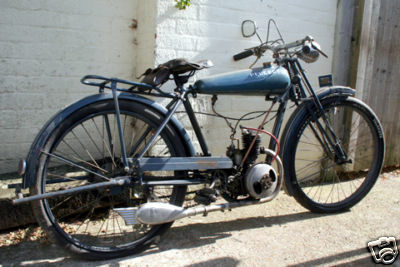 Picture courtesey of www.buyvintage.co.uk. 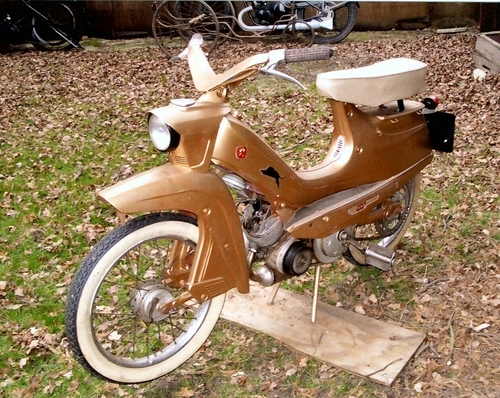 1966 50cc Peugeot Moped Image kindly provided by www.cheffins.co.uk. 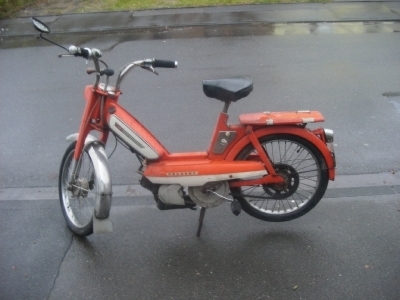 1972 Peugeot 103-D 48cc, 53Kw.